Our aluminum PWC trailers provide heavy-duty performance with the weight-saving benefits of aluminum construction for hauling up to two PWCs. Our patented I-beam construction provides exceptional strength and durability and features hidden channels to protect wiring and brake lines. 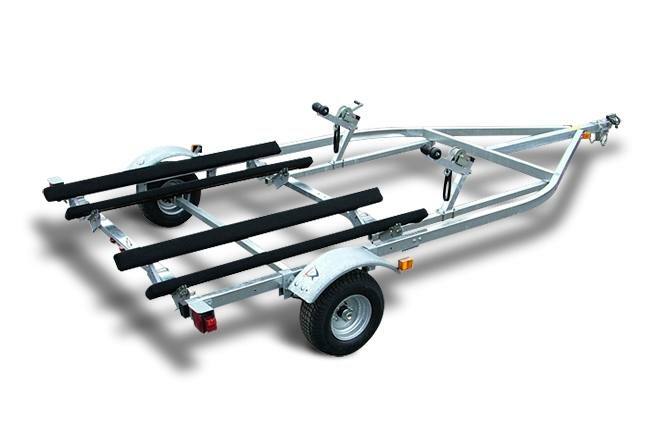 Concealed U-bolts and appealing graphics create a trailer as good-looking as it is strong.